Countdown to Flavor! Napa Valley March 22-26, 2017 Five Days, plenty of amazing events and one legendary festival – The countdown to Flavor! Napa Valley, March 22-26, 2017, has begun! 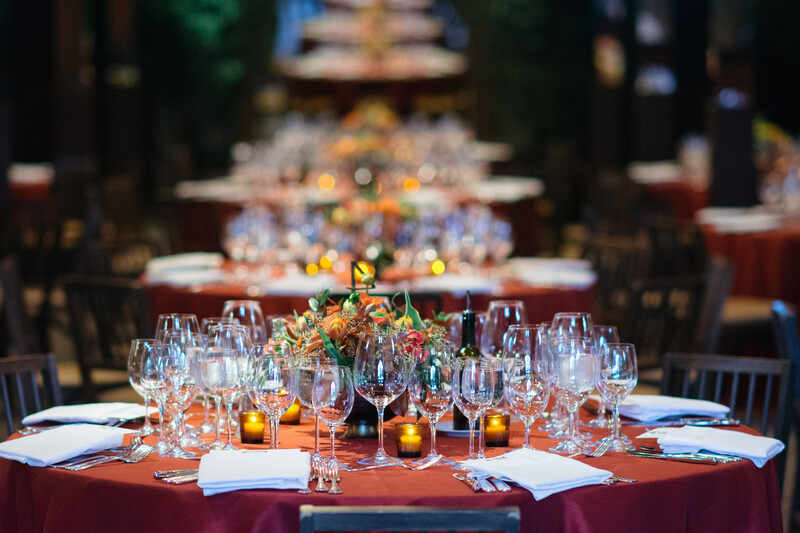 The five-day food and wine festival support programs and scholarships at The Culinary Institute of America’s Greystone Campus in St. Helena, CA. Flavor! During Flavor! Napa Valley, you’ll soak up inspiration from iconic chefs and winemakers while experiencing the best that Napa Valley has to offer. As you discover new flavors, you’ll also be supporting programs and scholarships of emerging talent from The Culinary Institute of America. Flavor! Napa showcases the finest in farm-to-table cuisine and world class wines with a series of local and celebrity chef demonstrations, intimate winemaker workshops, as well as grand tastings and exclusive experiences to bring out the best flavors of Napa Valley. Tickets for Flavor! Napa Valley are available at FlavorNapaValley.com. Moderated by wine, food and television star Leslie Hartley­Sbrocco of KQED’s “Check, Please!” this exclusive seminar and tasting is focused on Heidi’s secrets behind how she captures the deep and complex flavors of the fruit in the wines she makes for her La Sirena and Barrett & Barrett labels, as well as other special selections from the highly­touted Napa Valley brands Paradigm, Fantesca, Kenzo Estate and Lamborn Family Vineyards. 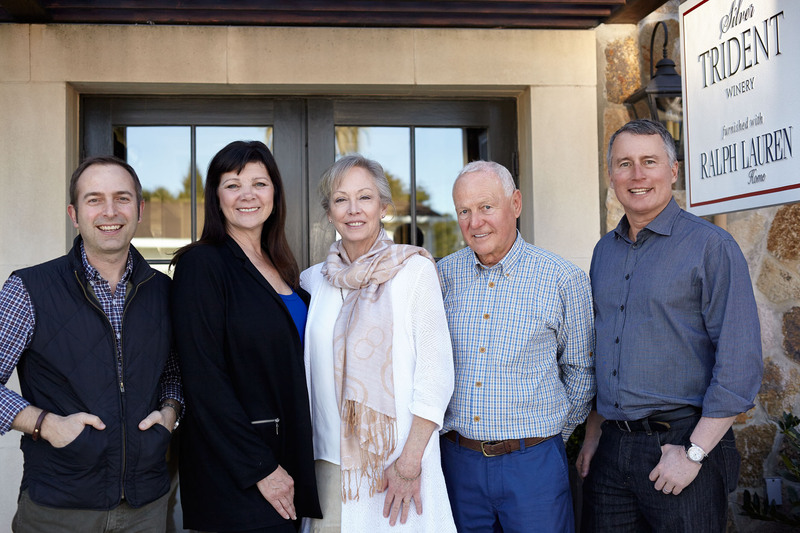 Guests will celebrate the food and wine icons of the Napa Valley at the Silverado Resort and Spa while honoring legendary winemaker Heidi Barrett, who is responsible for some of California’s most notable cult wines. 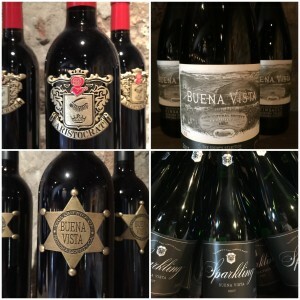 From multiple 100­point rated wines to setting a world record when a 6­liter bottle of her Screaming Eagle 1992 Cabernet Sauvignon sold for $500,000 at the Napa Valley Wine Auction in 2000. Participating chefs include Host Chef Jeffrey Jake from Silverado Resort and Spa; Matthew Accarrino from SPQR; Stuart Brioza and Nicole Krasinski from State Bird Provisions and The Progress; Ken Frank from La Toque; Michael Schulson from Schulson Collective; and esteemed CIA graduate Waldy Malouf. Indulge your sweet tooth with Chefs Tyler Malek, co­owner and chef of Salt & Straw Ice Cream, and Lisa Vega, executive pastry chef at Dandelion Chocolate. Guests will experience what happens when great minds collide with their unique use of ingredients, techniques, and secret tricks of the trade, and reap the delicious benefits of this culinary match with Salt & Straw’s innovative, seasonally­driven ice cream, and Dandelion’s small batch bean to bar chocolate. During this lively, hands­on experience, guests will be guided through a component tasting of the three core varietals that make up Paraduxx and learn the techniques of winemaking. 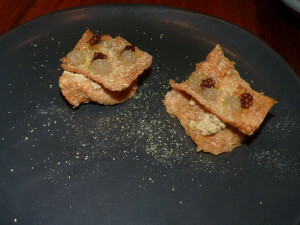 Wines will be seasonally paired with bites from local chefs, Natalie and Jonathan Niksa, of La Saison, Napa Valley. The class is designed to showcase the spirited side of Napa Valley. 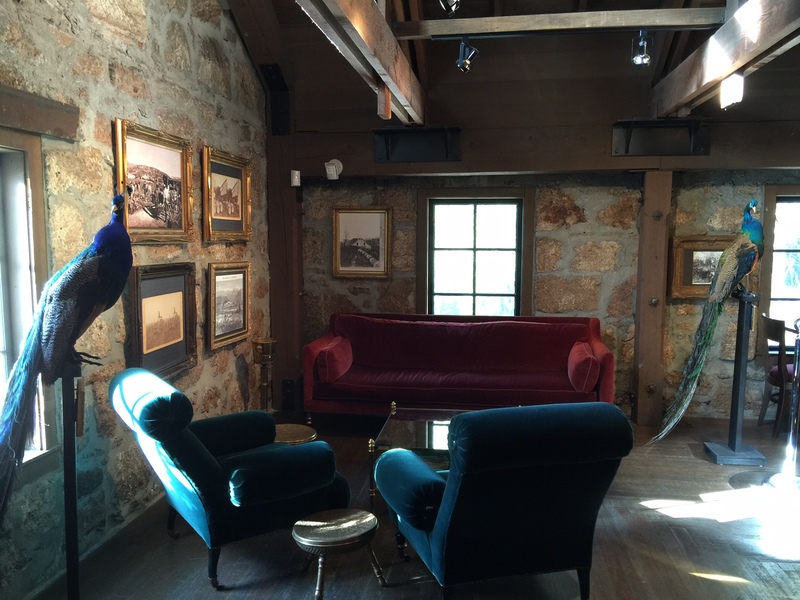 Guests will start with a welcome beverage and short distillery tour, followed by a whiskey barrel tasting with the Napa Distillery owner and distiller. 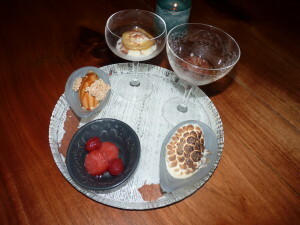 After the tour, guests will enjoy a multi­course small plate and cocktail/spirits pairing experience in the grand tasting salon. Each course will be prepared exclusively for each cocktail/spirit, made with spirits crafted at the distillery. 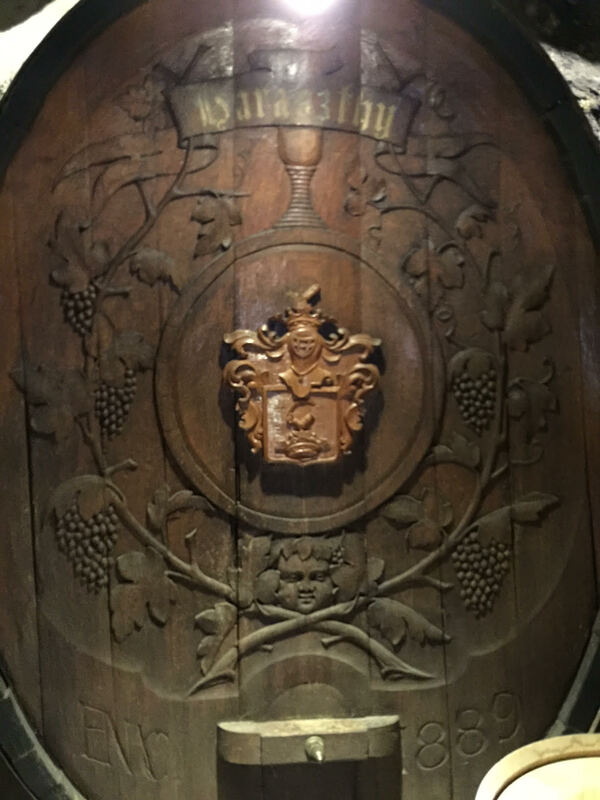 This class explores wine aromas suggestive of fruit character, barrel aging and terroir while tasting four estate grown St. Supéry wines. Guests will exercise their sense of smell through a series of aroma identifications designed to discover how personal sensory memory impacts how aromas are recognized. 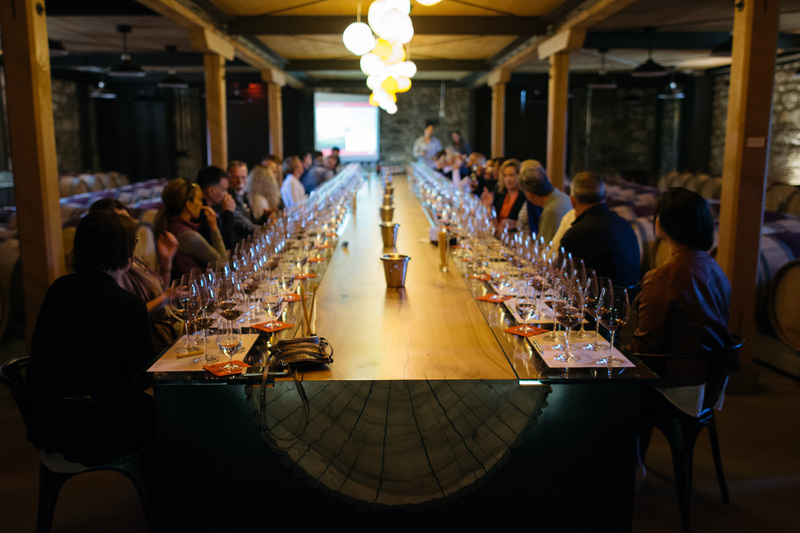 This interactive sommelier­led experience includes a mystery wine game to ultimately guide guests to identify more aromas in their glass to heighten the enjoyment of wine. 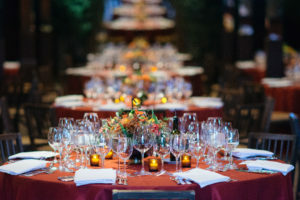 “Legendary Napa Valley, The Grand Tasting” at The Culinary Institute of America at Greystone VIP admission is 6 – 7 p.m. and tickets are $225 per person; general admission is at 7 p.m. and tickets are $175 per person. The sixth annual Grand Tasting at the Culinary Institute of America at Greystone in St. Helena allows guests to taste their way through the Napa Valley with a selection of sweet and savory bites from more than 25 Napa Valley restaurants, paired with wine from more than 80 Napa Valley wineries. Participating restaurants include Angele Restaurant; Brasswood; Harvest Table; Lucy Restaurant & Bar; Nuri; PRESS Restaurant; Sam’s Social Club; Silverado Resort & Spa; Tarla Mediterranean Bar & Grill; The Farm at Carneros; and The Restaurant at Auberge du Soleil. 2 Flavor! 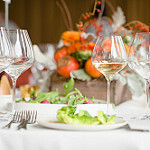 Napa Valley includes additional Napa Valley Wine Tours; Terroir to Table events, Chef Demonstrations, and Wine Classes. 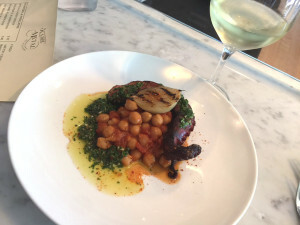 Wine Events at Flavor! Napa Valley with Christopher Sawyer of SawyerSomm.com – WINE MANAGEMENT AND PROGRAMMING – Christopher Sawyer is an internationally-renowned sommelier, wine educator, journalist, consultant, critic and public speaker: He travels the world following trends in wine and participating as a VIP judge in the world’s top wine competitions, and has been featured in a wide range of national media, including USAToday, MSN, NBC, ABC, CBS, Redbook, The Hollywood Reporter, Maxim, National Geographic Traveler, CNN and Esquire. ● Double Magnum Sponsors: Celebrity Cruises, Mr. Espresso, TriMark, Napa Valley Marriott. by Manda Bear: Instagram and Twitter. Three days of cheese, cheese and MORE cheese awaits at the 10th Annual Artisan Cheese Festival. Take a farm tour, sign up for a class to learn from our experts how to taste, buy, serve and enjoy distinctive artisan cheeses with wine, beer, cider, and even sake. Meet the cheesemongers and vote on their Best Bites! Sample cheese-inspired dishes from more than two dozen restaurants at California Cheesin’ – We Do it Our Whey! With wines, beers, and ciders to complement. Visit the Bubbles Brunch or go to the Artisan Cheese Tasting and Marketplace where you can taste and buy cheeses from over two dozen artisan cheesemakers and artisan food producers; sample artisan wines, craft brews, and much more. 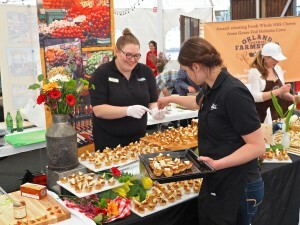 Celebrity chefs, world class cheese, wine, beer, cider and more all in one fun filled weekend! Friday night under the Big Top is where cheesemongers will take center stage in a light-hearted yet energetic competition to see who can create the best bite using California artisan cheese. Guests are encouraged to vote for their favorite bite while enjoying plenty of artisan wine, cider and beer. A “Fantasy Cheese Table” will be center stage, so guests may taste the wide variety of local and rare cheeses at this not-to-be-missed party to kick off the weekend. Tickets $50; The Big Top at the Sheraton Sonoma County, 6 – 9 p.m.
New this year, the popular and coveted Friday farm tours have been expanded to Saturday! Guests will be guided on walking tours of various local farms and creameries to meet the cheesemakers and farmers, learn how the cheeses are made and taste the fruits of their labor. Tours on Saturday will feature an educational component such as a discussion or tasting led by an industry expert on a variety of topics. 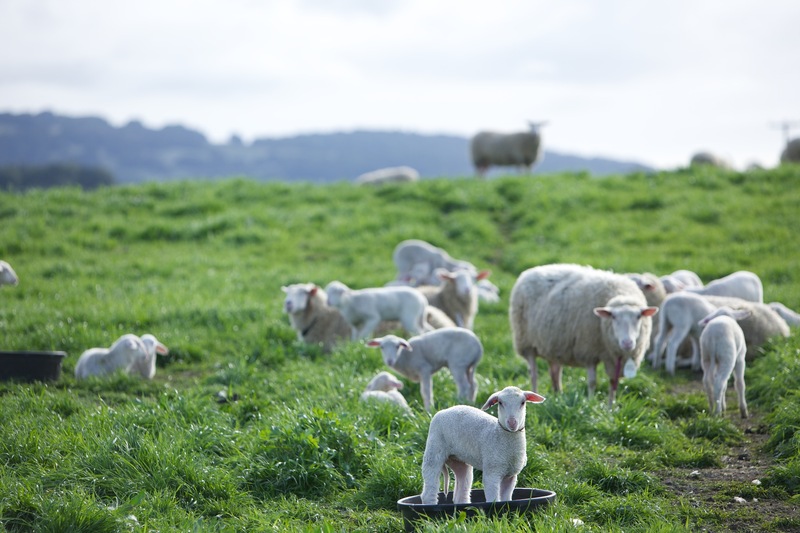 Tours allow guests to observe behind-the-scenes aspects of cheesemaking and interact with the animals in their natural environment. 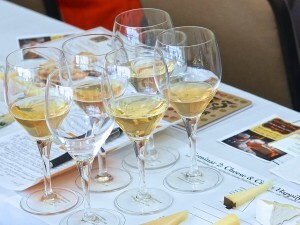 Each tour includes round-trip transportation from the Sheraton Sonoma County, as well as cheese tastings and lunch. 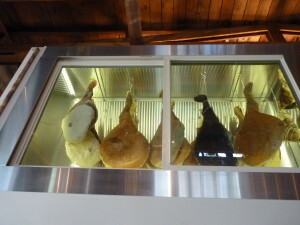 Cheese is available for purchase on most of the farm tours. Tickets and specific details about the farm tours to be available January 1, 2016; $135; 8:30 a.m. – 3:30 p.m. 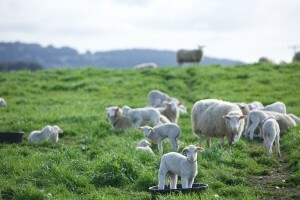 In addition to the educational components that are included on the farm tours, there are also a handful of seminars offered a la carte on Saturday at the Sheraton Sonoma County and at Cowgirl Creamery in Petaluma. Led by industry experts on a variety of topics, the seminars will range from pairing cheese with sake to the similarities of making cheese and chocolate. 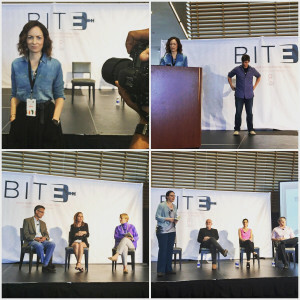 Confirmed instructors include Peggy Smith and Sue Conley of Cowgirl Creamery; renowned cheese writer and author Janet Fletcher; author and cheese expert Laura Werlin; cheese expert and founding president of the California Artisan Cheese Guild Lynne Devereux; and cheese and wine author Kristin Jackson. During the lunch break and after the afternoon seminars authors will be available for book signings. Books will be available for purchase by Copperfield’s Books. 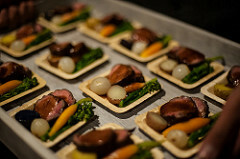 Tickets $75; Sheraton Sonoma County and Cowgirl Creamery Warehouse. 10 – 11:30 a.m. and 1:30 – 3 p.m.
California Cheesin’ — We Do It Our Whey! guests are invited to taste their way around this evening celebration of California cheese, sampling dishes from some of the Bay Area’s best chefs and caterers. Each chef will incorporate their favorite locally made cheese into an impressive dish for attendees who will then cast their vote for their favorite dish. The winner will be announced on-site during this lively and festive competition and there will also be a special tribute to some of the icons of California’s artisan cheese industry. Artisan wines, beers and ciders will be on hand to complement each dish, and live music and a photo booth will add to the jovial atmosphere. Tickets $75; The Big Top at the Sheraton Sonoma County, 6 – 9 p.m. The grand finale of the Festival, the Marketplace brings together more than 90 artisan cheesemakers, winemakers, brewers, chefs and producers to sample and sell their products directly to attendees in this feast for the senses. Guests can discover the next wave of local, hand-crafted cheeses, boutique wines and artisan-brewed beers as well as interesting cheese products, books and recipes. Each ticket includes entry to the Marketplace, an insulated cheese tote bag and a signature wine glass. Tickets $45 for adults; $20 for children 12 and under; The Big Top at the Sheraton Sonoma County, 12 – 4 p.m. In between tasting and buying cheeses at the Marketplace, guests are invited to watch live cooking and entertaining demonstrations conducted by local chefs and cheese experts, including a demonstration of how to create the perfect party cheese platter. Free with a Marketplace ticket; Sheraton Sonoma County Ballroom, 12 – 4 p.m.
You can purchase tickets at www.artisancheesefestival.com. Follow them on Twitter for current update. 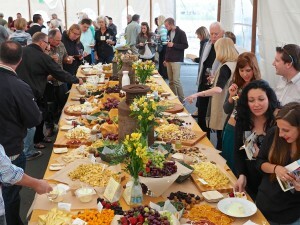 Generous sponsors of the Artisan Cheese Festival include All American Printing, American AgCredit, Beehive Cheese Company, Bellwether Farms, John Boos Boards, Central Coast Creamery, Cheese Connoisseur, Chevoo, Cowgirl Creamery, Culture Magazine, Cypress Grove Chevre, Donald & Maureen Green Foundation, Fiscalini Farmstead Cheese Co., KWMR Community Radio, Lagunitas Brewing Company, Laura Chenel Chevre, Marin French Cheese Co., Mike Hudson Distributing, Nicasio Valley Cheese Company, Nugget Markets, Oakland Packaging, Oliver’s Markets, Pennyroyal Farm, Petaluma Market, Petaluma Post, Pisenti & Brinker LLP, Pt. Reyes Farmstead Cheese Co., Pure Luxury Transportation, Real California Milk, Redwood Hill Farms & Creamery, Rustic Bakery, Sheraton Sonoma County, Valley Fig Growers, Valley Ford Cheese Company, Willapa Hills Cheese and Yelp. 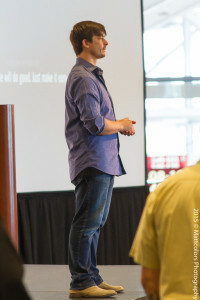 A 501 (c)(3) non-profit organization, California’s Artisan Cheese Festival strives to increase cheese appreciation, educate consumers about artisan cheeses, support the cheesemaking community and its sustainability and celebrate the creations of California’s many farmers and cheesemakers. 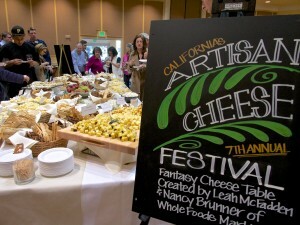 The festival began in March 2007 as the first-ever, weekend-long celebration and exploration of handcrafted cheeses, foods, wines and beers from California and beyond. In keeping with its dedication to the community, the Artisan Cheese Festival donates 10% of all ticket proceeds to Sonoma Land Trust, Marin Agricultural Land Trust, Petaluma Future Farmers of America, California Artisan Cheese Guild and Redwood Empire Food Bank. 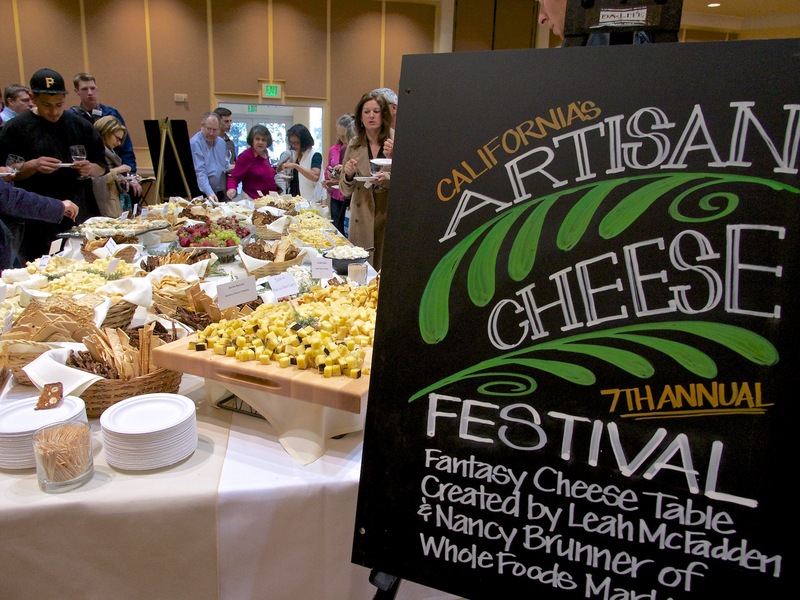 To date the Artisan Cheese Festival has contributed more than $80,000 to these non-profit organizations that work to support the artisan cheesemaking community and its infrastructure in California. For more information, visit www.artisancheesefestival.com. Silver Trident Tasting House is nestled in the charming downtown Yountville. 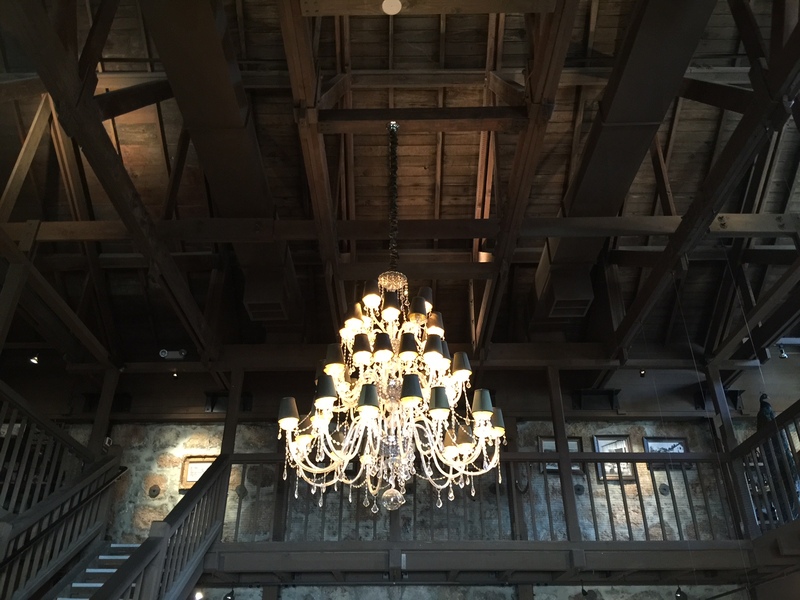 Tuscan-style home furnished in the famous Ralph Lauren Home Furnishing from the chandelier to the plate, from the comfortable chair to the beautiful picture frame, everything to detail, are Ralph Lauren. You can buy just about anything they have in this house and take it home with you. How cool is that? It doesn’t feel as I was at the winery or a tasting room, which there are few in this town. I feel at home, or better yet, a luxurious hotel, but yet I was so comfortable and relaxed. There are three rooms, which each can host for 4-8 people max. There’s no sitting nor standing bar. 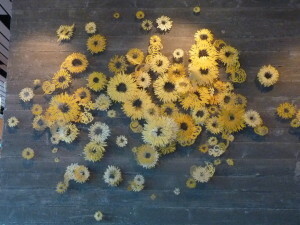 The arts on the walls are beautiful, modern, and inviting. We arrived a little earlier than our appointment. We were greeted nicely with a splash of rose by Susan. She’s sweet, beautiful, and gracious. 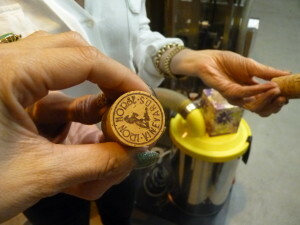 She told us the story of this small and limited production of wines. They only make about 1,800 cases per year. That’s little compared to over five wineries in Napa Valley. – The Napa Valley Sauvignon Blanc – $28, only 200 cases, think of Sunday brunch with your family and friends. 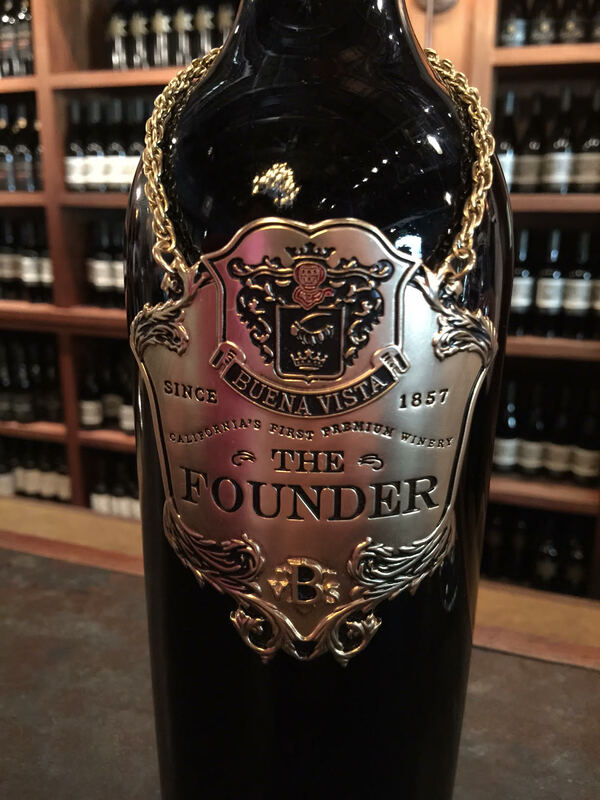 – The 2013 Benevolent Dictator Sonoma Coast Pinot Noir, Dutton Ranch Vineyard – $55, 400 cases. The microclimates of the Sonoma Coast AVA include the western portion of Carneros and the Petaluma Gap. This Pinot Noir was delicious, nice nose, bright cherry, bright acidity, a food-pairing wine, a Burgundian style, love it. A balanced wine with ripe flavors, silky texture and crisp acidity. Bright ruby color with aromas of cherry skin. The palate shows more cherry and dried fruit flavors with earthy notes. Clean, solid backbone, structure, ready to drink now or you can cellar aging it for years to come. It’s an ideal to pair to grilled fish, vegetables, or barbecued meats. – 2010 Twenty Seven Fathoms, Napa Valley – $90, 400 cases – A Bordeaux blend style, this striking 2010 Cabernet is loaded with bright, vibrant fruit and has an exceptional body to match. The aromas and flavors of blackberry, currant, black cherry and toasty oak meld exquisitely with ample midpalate weight, a silky mouth-fee,l and luxurious tannins that add good length to the finish. An excellent wine to enjoy now, but it will also improve through cellar aging beyond 2020. I dig this wine! Think of Mediterranean lamb chop, a juicy Wagyu, or braised pork shoulder. Kari Auringer, Winemaker, she’s been creating outstanding wines for over 14 years, including working on the team to create many of Napa’s Cult Cabs such as the 100-point Scarecrow, Lindstrom, Hollywood and Vine and Keever. We got lucky on this visit. 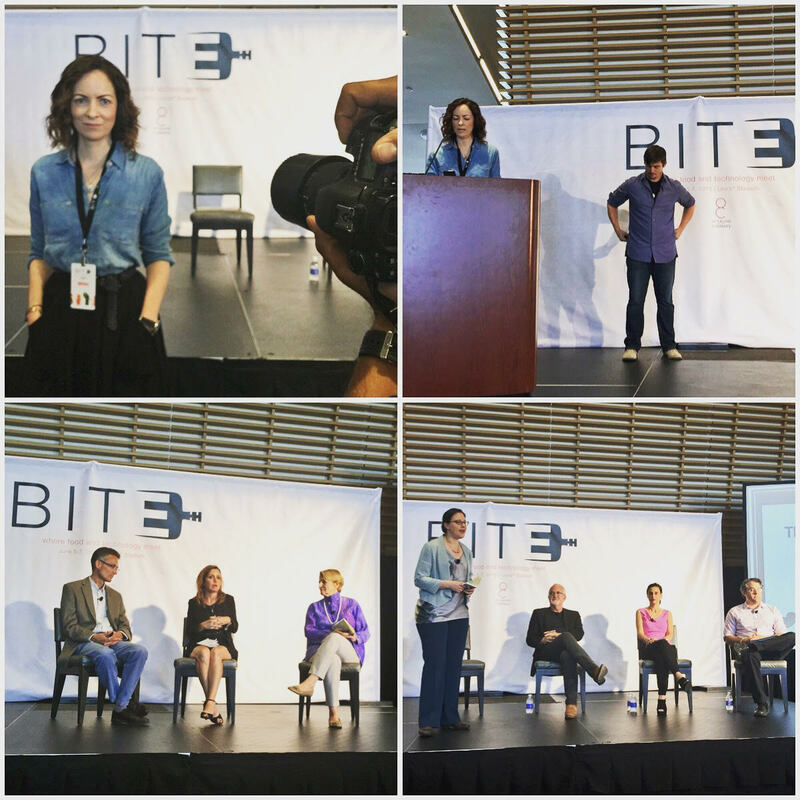 The co-founder Bob Binder was there. First met him, you wouldn’t know he’s the proprietor. He was energetic, vibrant, good sense of humor, and so humbled. “If you do the same things, the same way everyone else does,” he says, “you’ll end up being average. And average is synonymous with boring.” Binder said. If we only knew he came from the best of the luxury hospitality business. The world of luxury cruise lines, think of the Oceania Cruises and Regent Seven Seas Cruises, he and good fortune to work with culinary luminaries like Jacques Pépin, a team of world-class chefs and sommeliers, and a host of outstanding epicurean partners like Bon Appétit and The Wine Spectator. 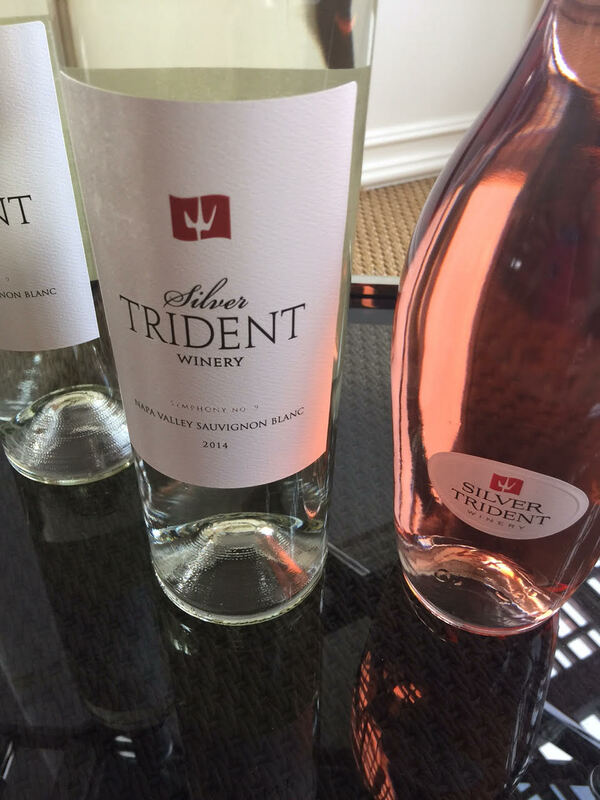 Walter Jost, the vintner, co-founded Silver Trident. Walter is past president of one of the world’s most prestigious travel companies. Although he left his native Switzerland at an early age, he’s proud of his heritage—and insists that the Swiss produce world-class wines, which they simply chose to drink themselves and not export. Walter walks each row of the estate vineyard, inspecting the vines every day while enjoying his morning coffee. Some call his meticulous attention to detail extreme. He simply calls it Swiss. Binder and Jost, because they wanted to make extraordinary wines—wines that would be at home everywhere from a festive dinner table at home to the world of luxury hospitality where they’ve made their careers. With only $25, you got to taste four wines, refundable with a purchase of $100 or more. 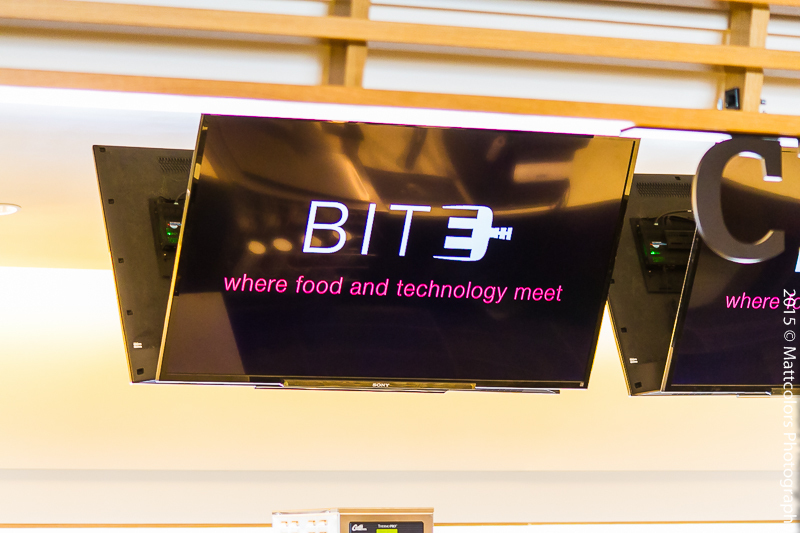 If you want food pairing, you need to call in advance for it. The food pairing is a must. We got to try four different small bites, and it was fantastic to pair with the wines. We enjoyed our visit very much, and I can’t wait to visit again. 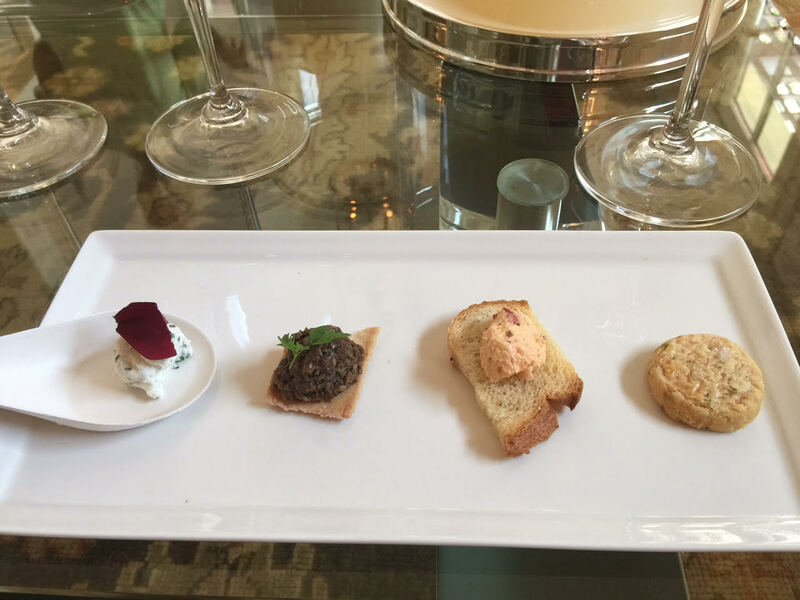 Silver Trident Tasting House is walking distance to Bottega Napa Valley, Bouchon Bistro, The French Laundry, Ad-Hoc, REDD, Redd wood, Hurley’s Restaurant, and Lucy’s Restaurant & Bar. 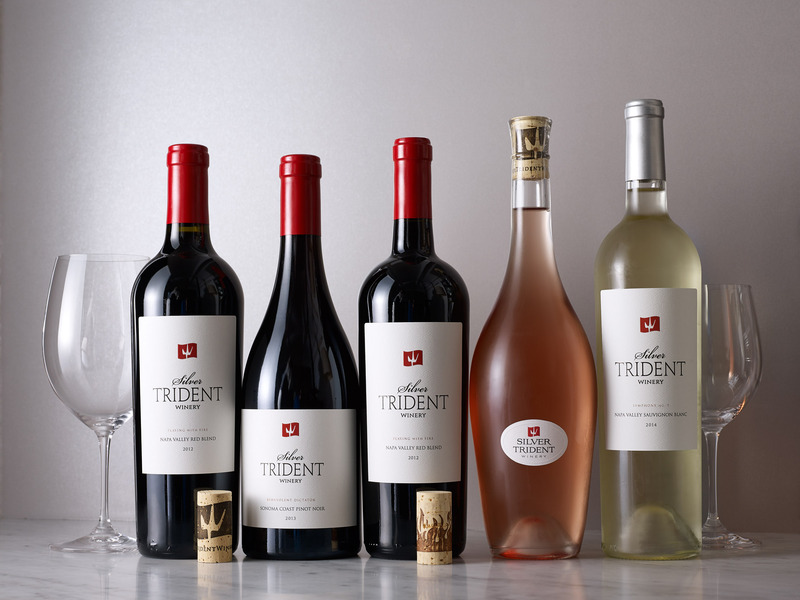 It’s a perfect stop before your dinner in Yountville, or on your way back since most wineries are closed at 4-5 pm, Silver Trident opens till 7 pm. small, independent, estate, family-owned wineries. It is located in cool and foggy Green Valley. You can get lost if you don’t pay attention to the sign, and don’t trust your GPS, it might get you to the back road which we did! The founding partners, Audrey and Barry Sterling first saw it in the pouring rain in February, 1976, they were thepioneer of their time to buy this 300 acres of gentle rolling hills, looking like Camelot. Incurable romantics with extraordinary vision, they bought the property in just two weeks. The estate was named after a railroad stop, which crossed the property in the 1890s. Rodney Strong rediscovered it as a vineyard site in 1970, planting the original 55 acres of Chardonnay and 55 acres of Pinot Noir. 13 miles from the Pacific as the crow flies. There are approximately 160 acres in vine, planted exclusively to Chardonnay and Pinot Noir. The predominant soil-type is called “Goldridge”, a sandy loam that has excellent drainage and is perfectly balanced, making it the most coveted for growing Pinot Noir. The estate is divided into 39 blocks, farmed individually, harvested separately and then each vinified as a ‘single vineyard’. Each has been planted with site specific root-stock and clone selections. 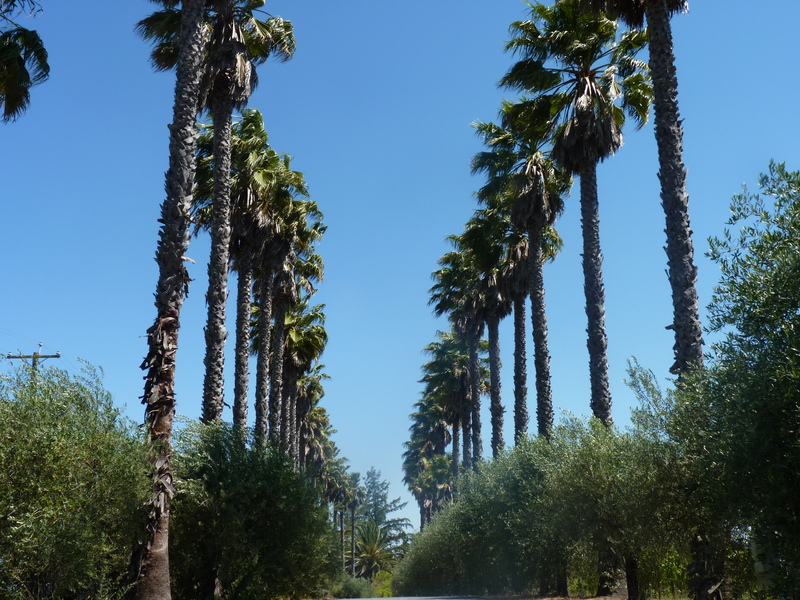 From 2005 to 2012, we replanted 82 acres originally planted in the early 70s, enhancing all our wines. Iron Horse is renowned for its Sparkling Wines, which have been served at the White House for five consecutive Presidential Administrations, beginning with the historic Reagan-Gorbachev Summit Meetings ending the Cold War. 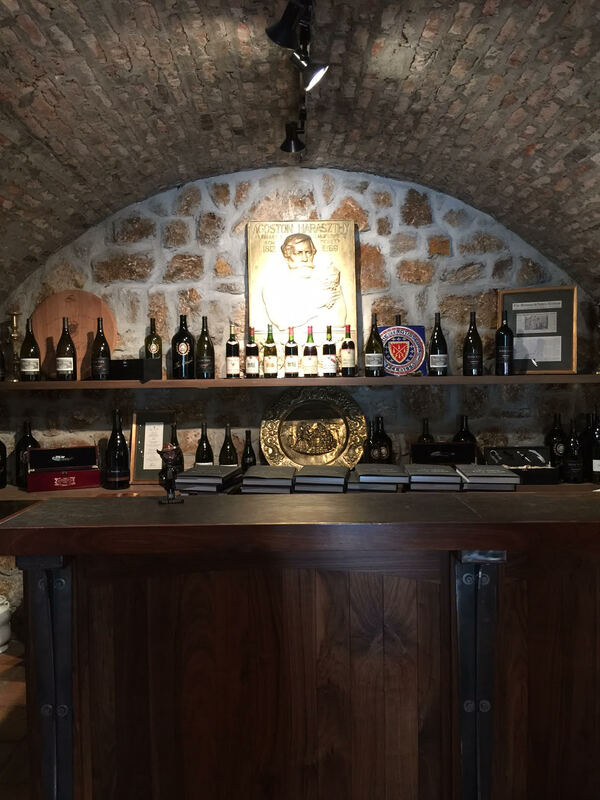 Their delicious wines have served many world leaders, presidents, and celebrities around the world. Including the White House Millennium celebrations, the White House dinner honoring the Pope on his 80th birthday, the 2011 State Dinner honoring the Queen of England at the Ambassador’s Residence, Winfield House, in London, the dinner President Obama hosted for the President of China in Southern California in June 2013 just to name a few. 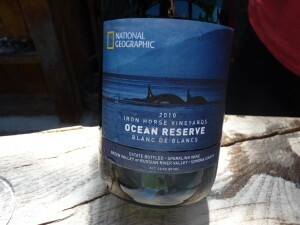 The winery produces a limited production, vintage Sparkling, called Ocean Reserve, in partnership with National Geographic. The winery contributes $4 for each bottle sold to establish Marine Protected Areas and reduce over fishing around the globe. 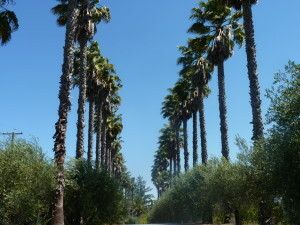 It’s a beautiful place, on the drive in, you will see all these palm trees that have been planted almost 40 years ago. 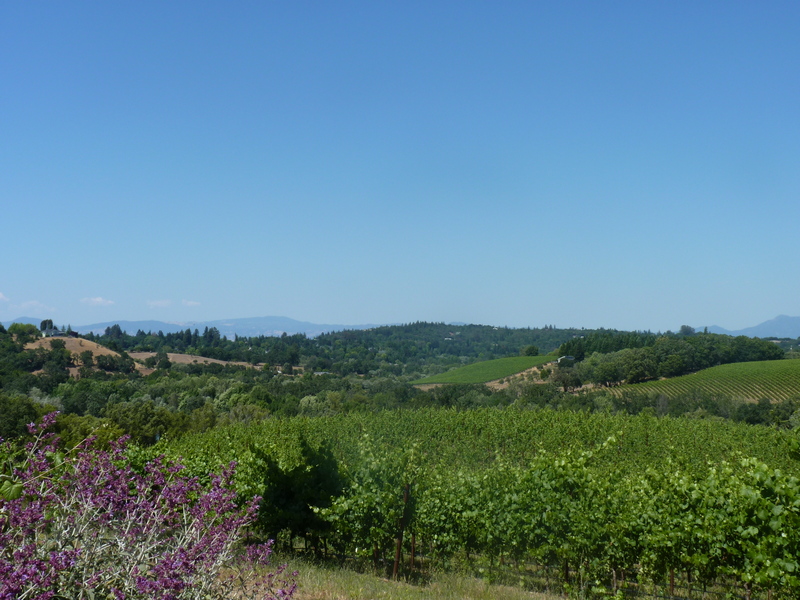 Breathtaking view of the rolling hills of the vineyards, you can see Mount St. Helena in Napa Valley from there, on a clear day. And their tasting room is outdoor, a perfect place to drink sparkling on a warm day in Russian River Valley. 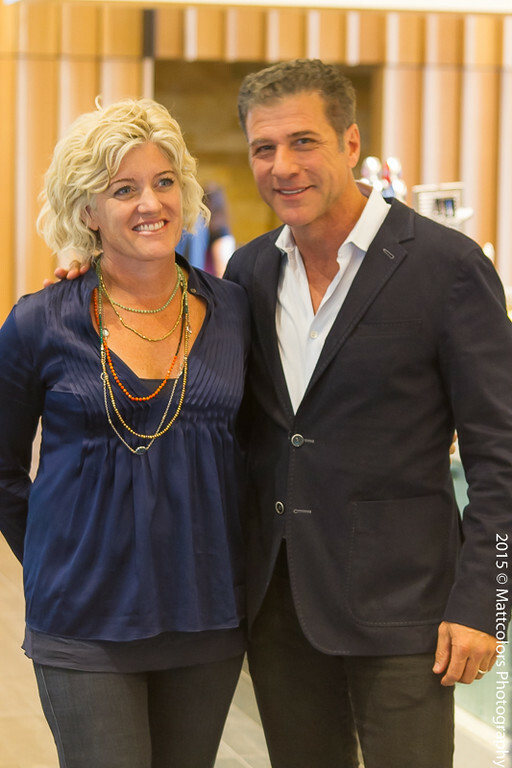 We also got to meet the CEO Joy Anne Sterling, she was kind and wonderful to show us around. 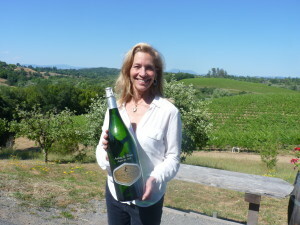 She is the second generation of Iron Horse Vineyards, lives on the property with her family. 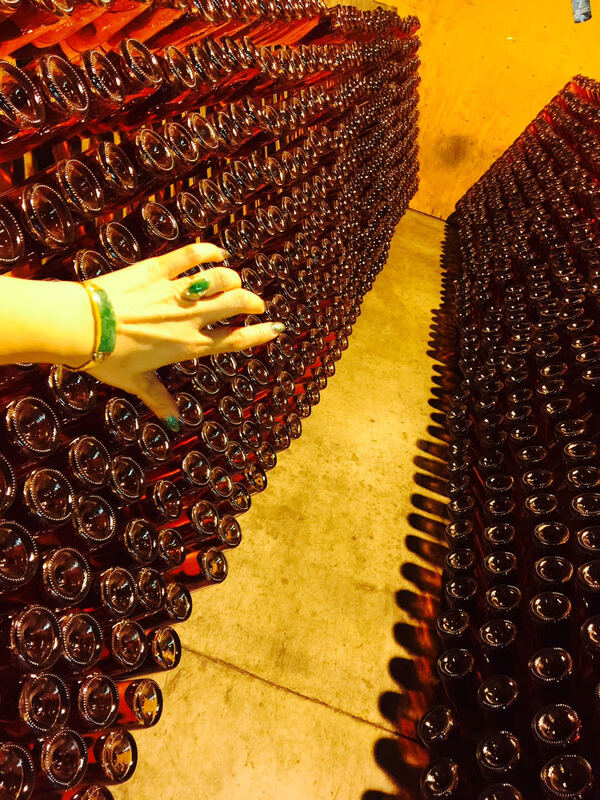 They only produce about 12K-15K cases per year. It’s everything to her and her family. We’re truly humbled by the experience and feel so blessed to talk to one of the best people in the wine industry. “This is my life, my passport to the world. Because of Iron Horse VIneyards, I can talk to anyone, anywhere, and I got to meet some of the amazing people.” CEO Joy Ann Sterling said. A pioneer in the Green Valley appellation within the Russian River Valley of Sonoma County, the Iron Horse family is building a legacy of prestige sparkling wines and estate bottled Chardonnay and Pinot Noir. We got to tour the estate and was impressed with the operations. 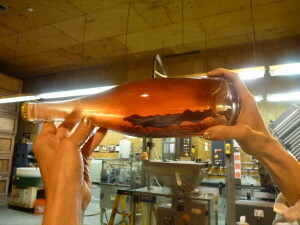 We saw many bottle made just for special occations. 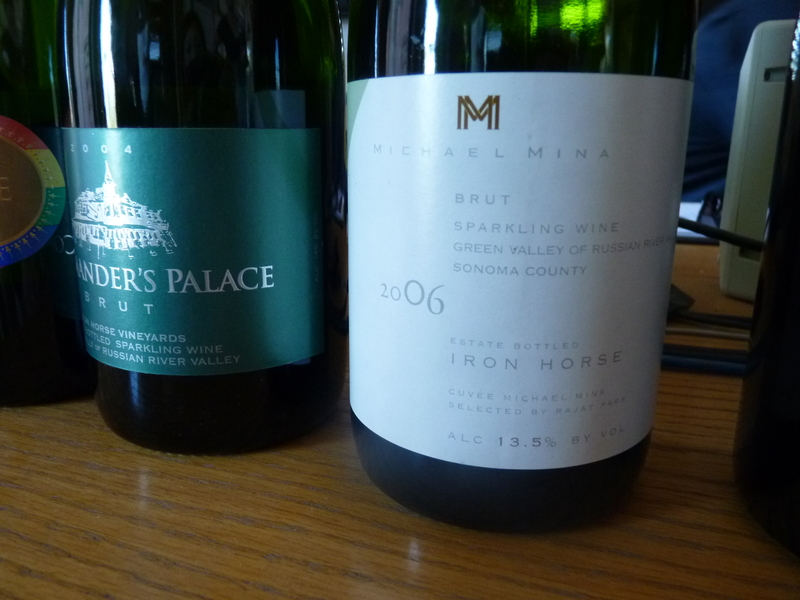 One of the bottle that we got to enjoy was the Michel Mina sparkling. I’m a fan of chef Michael Mina, and have dined at dozen of his restaurants, Iron Horse is his choice for sparkling wine on his wine list. The Tasting Room is open seven days a week from 10am to 4:30pm. Tastings are $20 for a flight of five wines, refunded with purchase, no charge for wine club members with a choice of three flights. Tours are by appointment Monday through Friday at 10am. 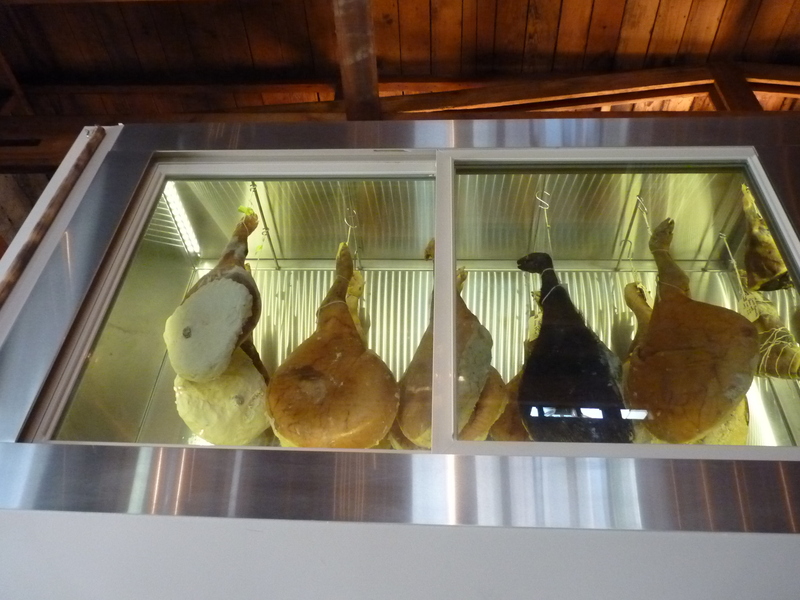 Tours are $25 per person (including tasting), refunded with purchase. 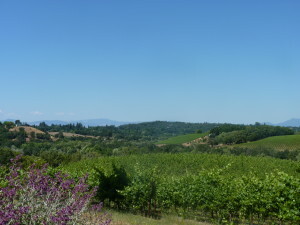 Winemaker David Munksgard offers a truck tour through the vineyards and private tasting on Mondays at 10am. 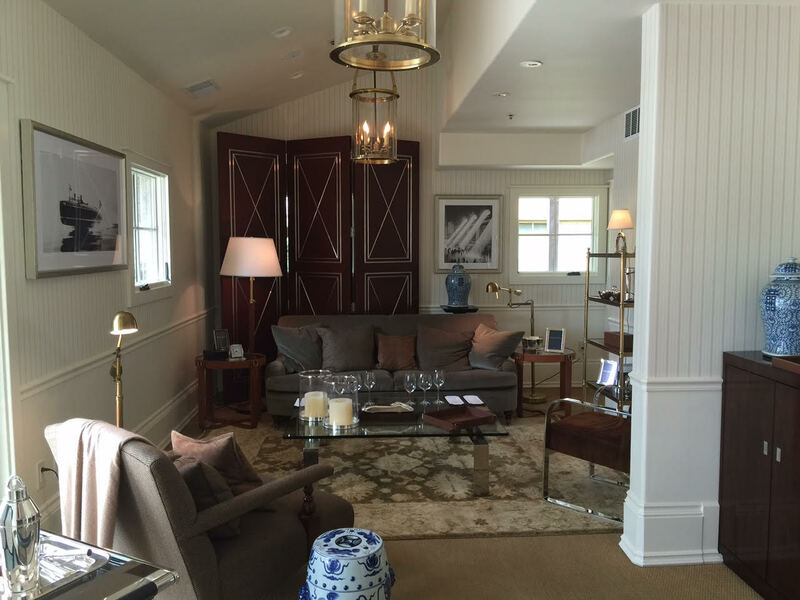 Visiting Iron Horse Estate was a truly memorable experience. Limit four people. $50 per person. Chardonnay and Pinot Noir, price ranges from $27-$85. Sparkling wines, price ranges from $42-$220 (magnum). Their sparkling is as good as it gets. I’m a big fan. 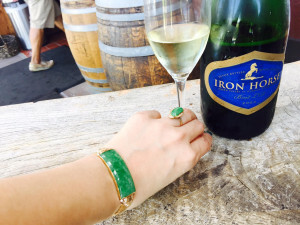 Iron Horse Chardonnay is a signature Green Valley region wine. 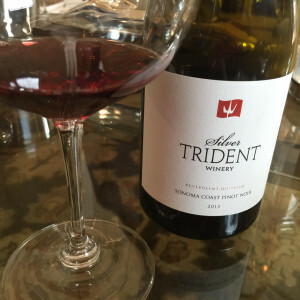 Pinot Noir is the winery’s rising star. All their wines are estate wines only. The first winery and vineyards in Russian River Valley and they remain family-owned estate operations. 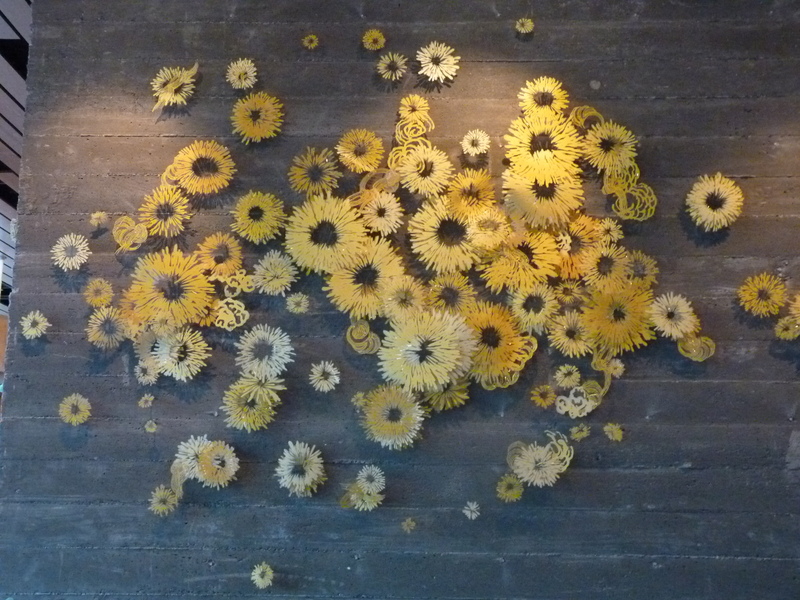 If you ever visit Sonoma County, Iron Horse Vineyards should be the first one on your “must visit” list. 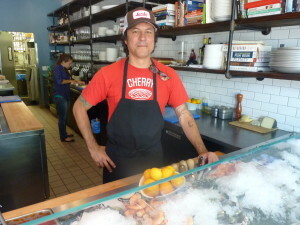 BravoTV Top Chef Season 11, Chef Louis Maldonado launched his culinary career in San Francisco as co-executive chef at Cortez, where under his direction Cortez was awarded one Michelin star in 2006. 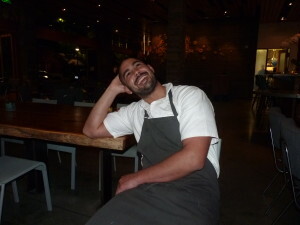 Chef Maldonado has worked at top restaurants including The French Laundry in Napa Valley and Aziza in San Francisco. 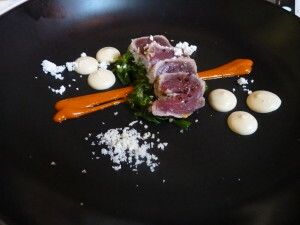 Now the executive chef of Spoonbar at h2hotel in downtown Healdsburg, where he was able to create a menu of contemporary, clean, and creative yet approachable American fare. The menu was impressive with many options for vegetarian and vegan. fermented chili, shiso, serrano chili, and wild onion salsa was delightful. 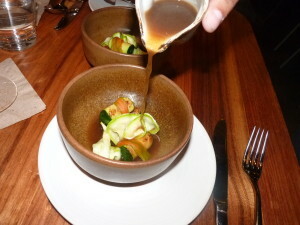 However, the roasted zucchini, pickled squash blossoms, beef bouillon, crispy buckwheat noodles was the winner of it all. It was refreshing with unexpected flavor, a perfect dish for a warm evening the wine country. 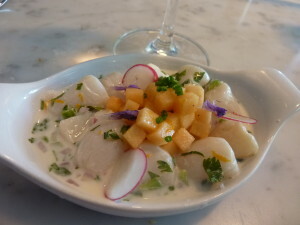 It was refreshing with unexpected flavor, a perfect dish for a warm evening in the wine country. Sit at the big long Acacia Tree communal center table where you can mingle with others. 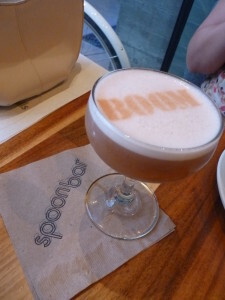 If you are all “wined out” from the wine tasting all day, Spoonbar is also a perfect place for a crafted cocktail, their menu is so scientifically delicious. And with a critically acclaimed cocktail program led by rising star bar manager Alec Vlastnik, the atmosphere is lively and vibrant. 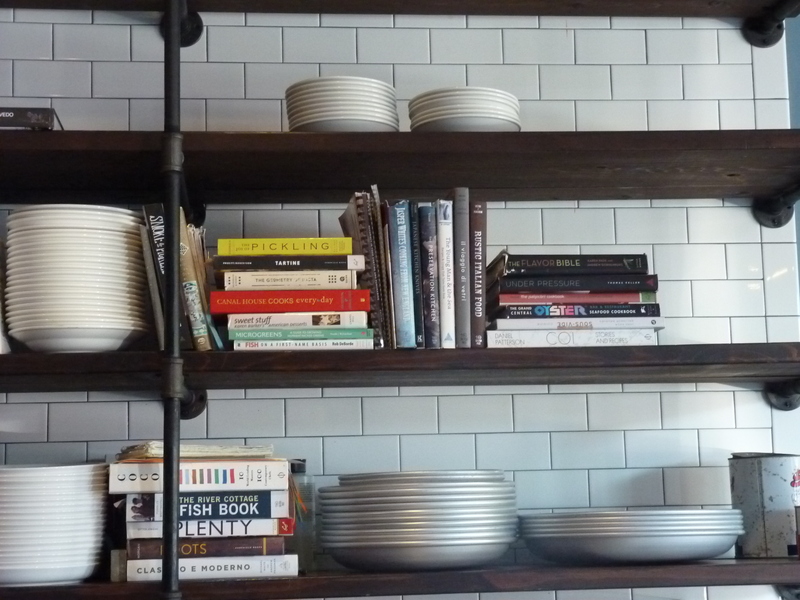 From plate to place, everything about Spoonbar is a rich alchemy of art and craft. HOURS: Dinner, Friday – Saturday, 5-9:30 p.m.
Monday – Sunday, 5:00 p.m. – 10:30 p.m.
Manda Bear, a former restaurant owner, has had a strong passion for food and wine from a very young age and has traveled the world dining at over one hundred Michelin Star/James Beard award winning restaurants. Currently with Dep Lifestyle Magazine San Francisco Bay Area, Manda Bear works as publisher and contributor Drink Me Magazine, @DepLifestyleMag, @DiningOutVegas. Previously, she was a contributor for Viet Press USA, Studio 14 Magazine, and DiningOut Magazine. 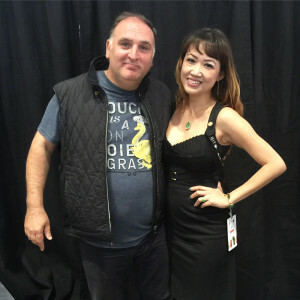 Additionally, Manda Bear is a certified level II Sommelier at www.VintageWineMerchants.com on Santana Row in Silicon Valley, a PR/brand ambassador for hospitality, food, and the wine industry, as well as a Social Media consultant for high-tech companies in Silicon Valley. 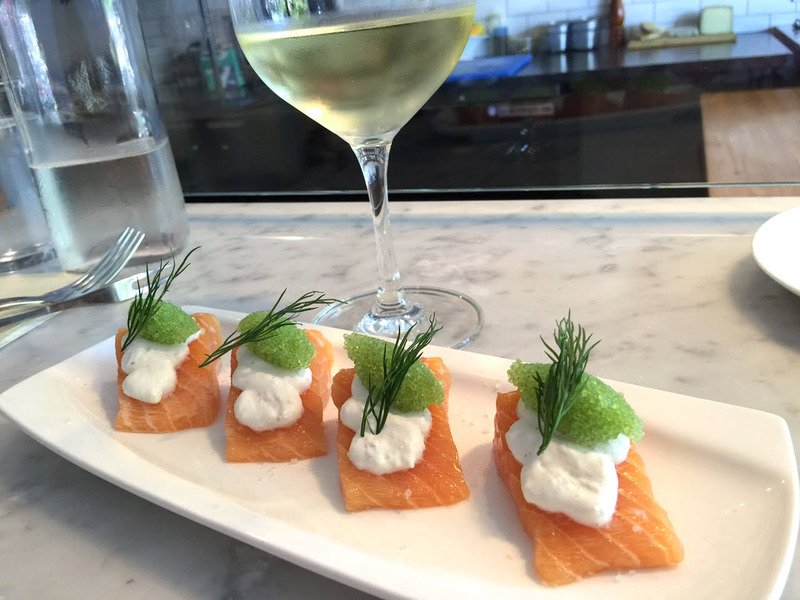 To follow her food and wine adventures, you can follow her on Instagram and Twitter. The casual and modern 35-seats classic raw bar and seafood restaurant is located in downtown Guerneville, just a short drive from the Russian River Valley wine country, a spin-off of the popular Bar Crudo in San Francisco. Chef Mike Selvera offers a small menu with an assortment to choose from, shellfish, oysters, crudo, cold, and hot dishes. Many of the plates are on the smaller side which is perfect for sharing. 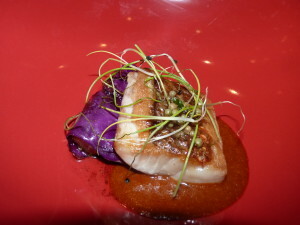 To pair with these delicate seafood dishes, they offer more than 40 domestic beers and local wines. 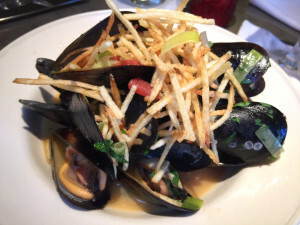 Seaside Metal is the latest creation of Executive Chef Mike Selvera and Front of House Manager Tim Selvera to join the growing culinary scene in welcoming downtown Guerneville. 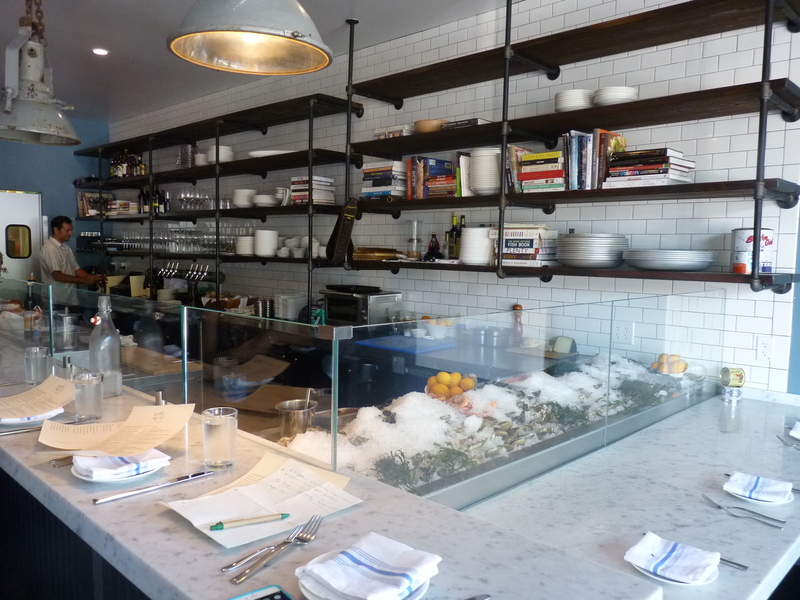 When dining in the open kitchen you will experience the freshness of pristine oysters, and the complexities of his signature crudo. Seaside Metal sources local produce, artisan cheese, award winning wines, and craft beer that only Sonoma County can offer. Mike Selvera is a San Francisco Chronicle Top 100 chef that brings his ideas on seafood, from his well-loved Bar Crudo to the intimate, unique, and gorgeous surroundings of the Russian River Valley. Beside the fresh oysters, marinated mussels, lobster are always on the menu; the seafood chowder is one of the popular dishes here. The Spanish octopus with chorizo, cranberry beans, caperberry, and tomato was unique and full of flavors. 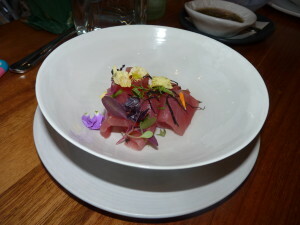 But the Arctic char remains our favorite, simple, nothing overdone, crudo at its best. HOURS: Dinner, Wednesday – Sunday, 5-10 p.m. 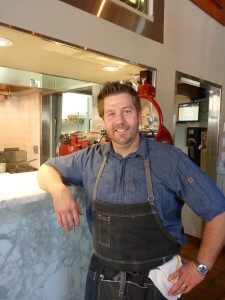 Chef Valette honed his craft in some of the most celebrated restaurants on the West Coast; including the Michelin-starred Aqua in San Francisco, Napa Valley’s Bouchon, and Dry Creek Kitchen, a Charlie Palmer restaurant in downtown Healdsburg. The dream of Valette Healdsburg began some 15 years ago amongst two brothers. Dustin Valette and Aaron Garzini were sitting at their father’s house overlooking the Alexander Valley. 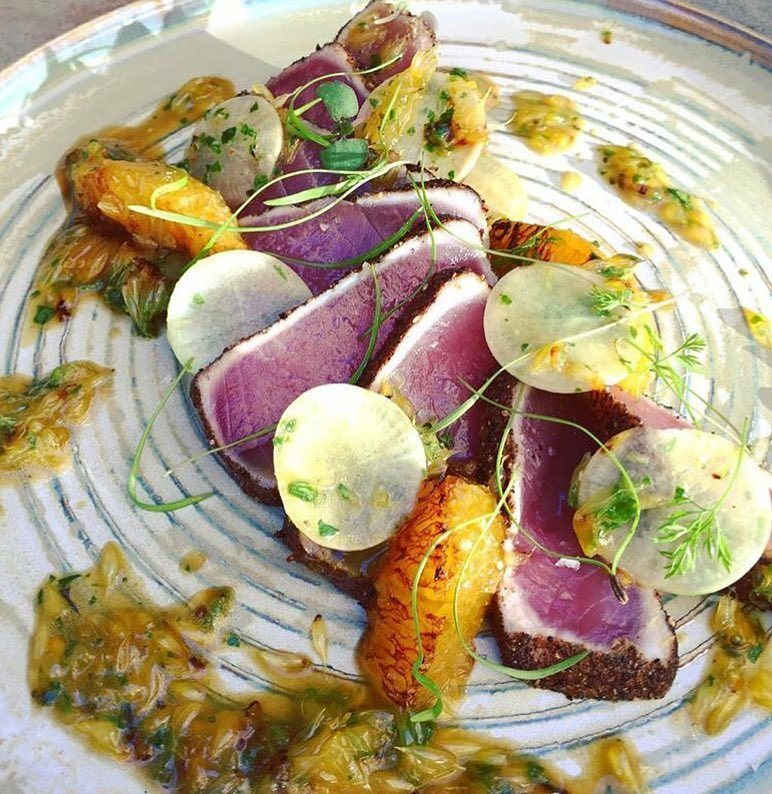 Over a glass of wine the two dreamt of opening a restaurant that showcased all Sonoma County has to offer. 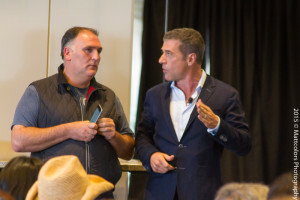 Opening a restaurant together is a dream come true for both brothers. The combination of Chef Valette’s culinary acumen featuring fresh, local ingredients and Aaron’s savvy ability to provide a warm and authentic environment has brought these two local brothers full circle, back to the land they are from, and working together in the industry they love. 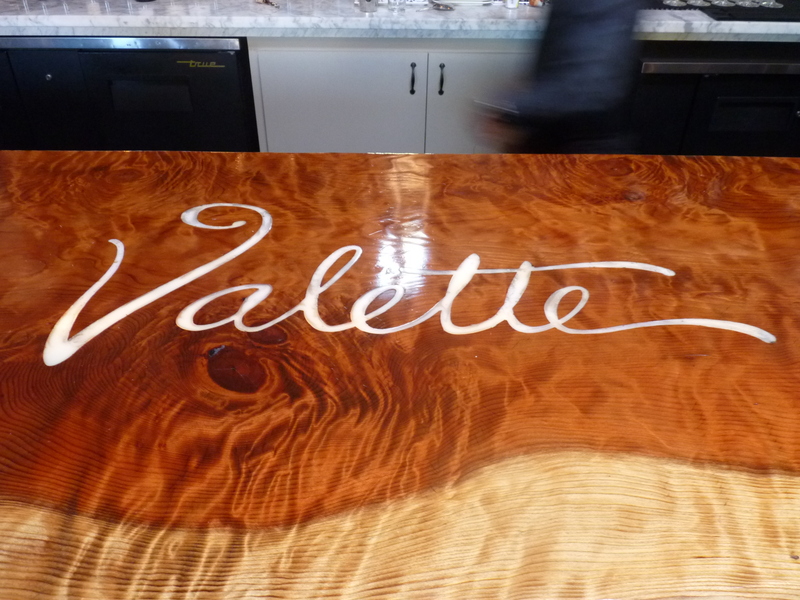 Valette was born in spring 2015; Chef Valette offers the intense, flavorful, and dynamic cuisine. sausage “Banh Mi” with a twisted, bold flavor, a Vietnamese influenced dish. 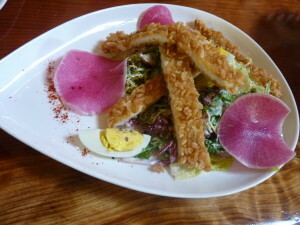 The chicken fried chicken with organic salad, buttermilk dressing was also fantastic. 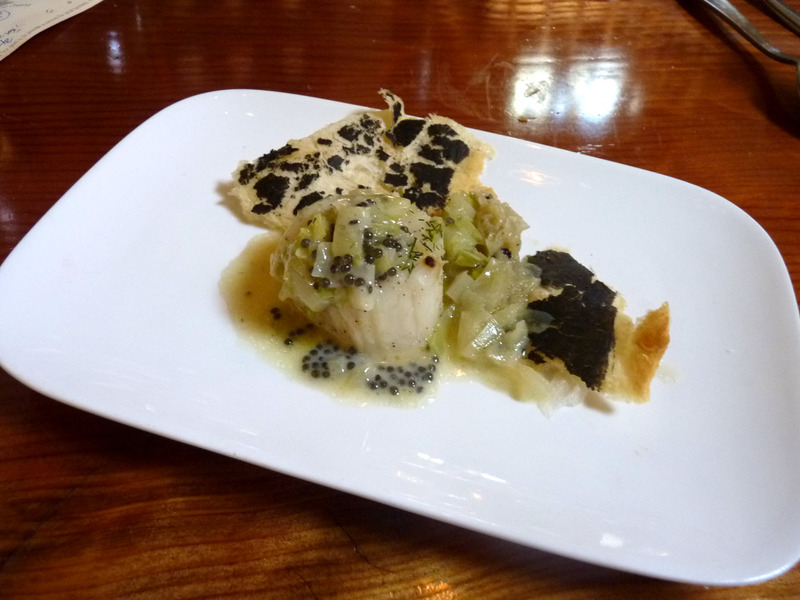 Our favorite dish was the Day Boat Scallops en Croute, fennel, caviar, Champagne Beurre Blanc was one of the most creative scallop dish. It was balanced, tasty, smooth, and explode in your mouth. HOURS: Dinner, Monday – Sunday, 5:30-9:30 p.m. Lunch, Friday – Sunday, 11:30 a.m. – 2:30 p.m.
A hidden gem in West of Sonoma, Underwood Bar & Bistro is located in the picturesque Sonoma wine country, sleepy town of Graton. About an hour drive from San Francisco, Graton is the geographical hub of Sonoma’s West County, nestled in the middle of Occidental, Santa Rosa, and Sebastopol. 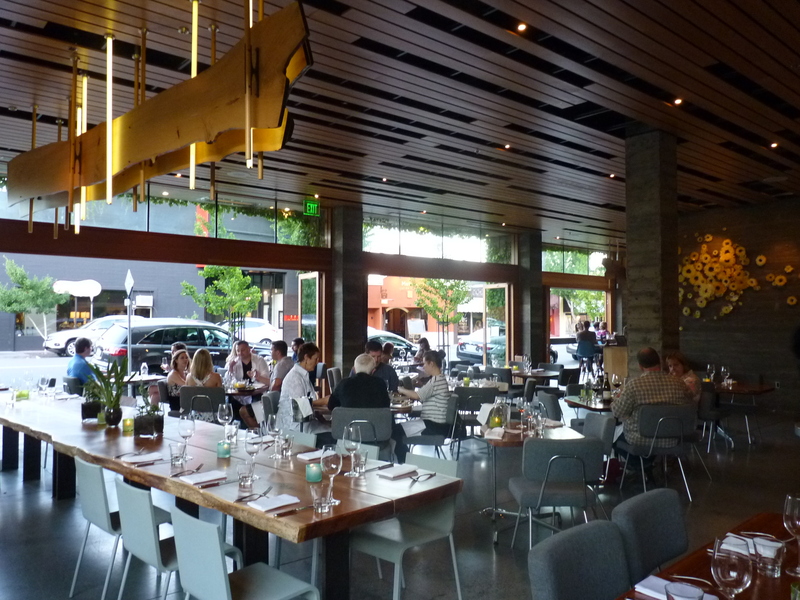 Underwood provides classic dishes and local wines in a laid-back bistro setting. It’s a happening spot for the locals and tourists alike on the weekend, and also offers a late-night menu. 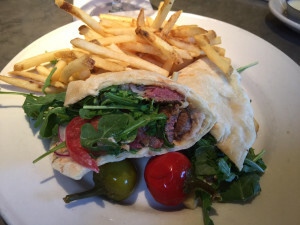 Moroccan lamb sandwich, spicy grilled lamb sirloin, tomatoes, arugula, red onion, grilled flatbread, and French fries; that tzatziki, slightly aromatic garlicky spread made all the different. It’s a perfect sandwich to fill up before you continue your wines tasting adventure. 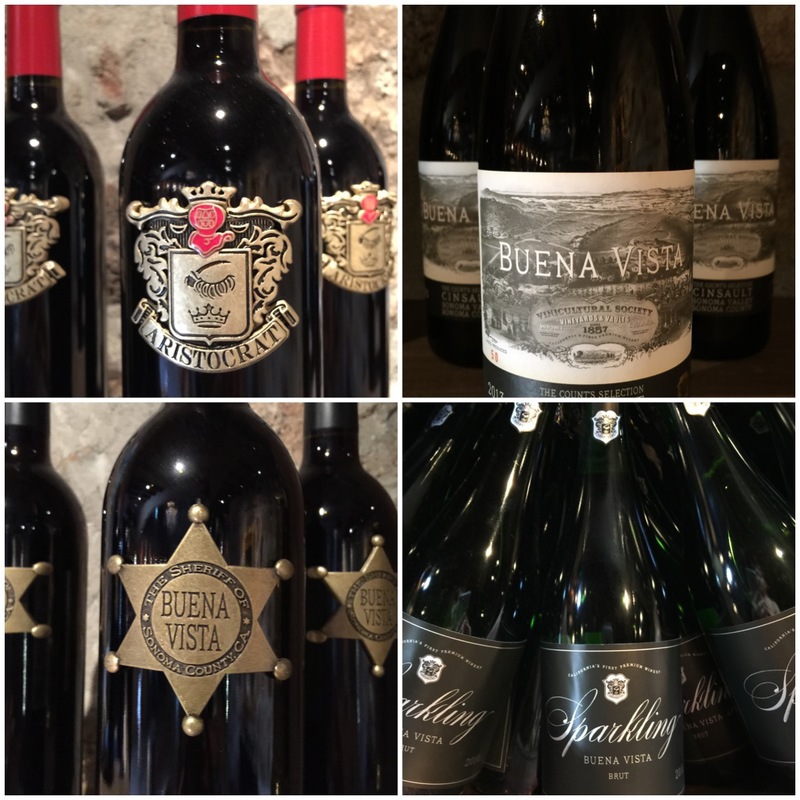 HOURS: Dinner, Tuesday – Thursday, Sunday, 5:30-10 p.m.
Friday – Saturday, 5:30-11 p.m.
Buena Vista is oldest winery in California, founded in 1857, Buena Vista is California’s first premium winery, and its history is as colorful as it is proud. 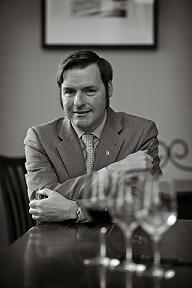 Today, it’s belong to the vision of Jean-Charles Boisset. Just a few minutes drive from downtown Sonoma, the original winery is now a California Historic Landmark, and home to our Winery, Tasting Room, and Visitor’s Center. 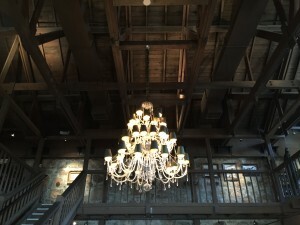 It’s a beautiful and historical estate, open Daily from 10 am to 5 pm, excluding major holidays. The drive here is quite easy. 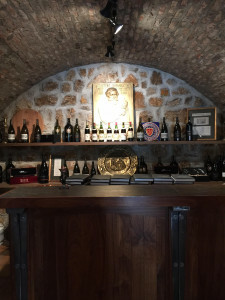 Plenty of parking spaces, stroll down the pathway, you will see the maze garden on your left and some of the historical figures on your right, before you arrive to the chateau-like main tasting room. 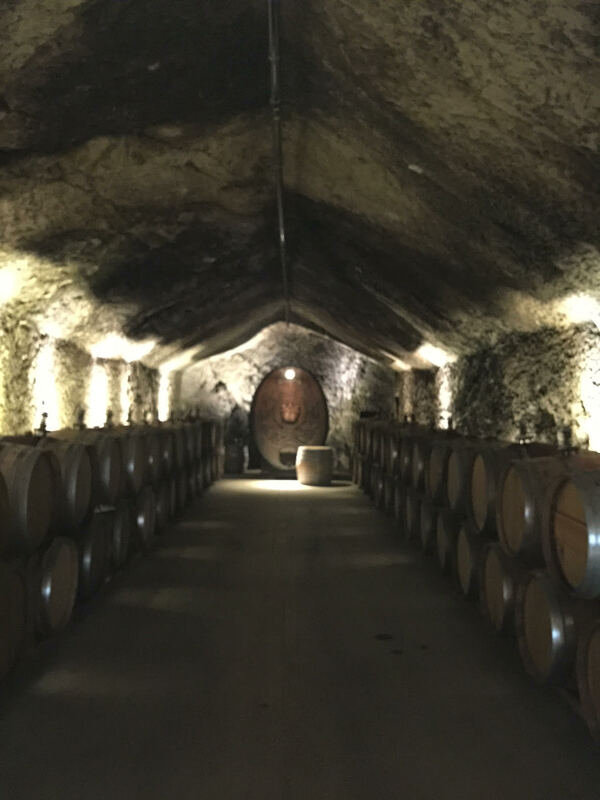 – Barrel tour and tasting – $35 per person, the Barrel Tour and Tasting is available daily at 11am and 2pm, the tour and tasting lasts about 1 hour. Reservations are required. 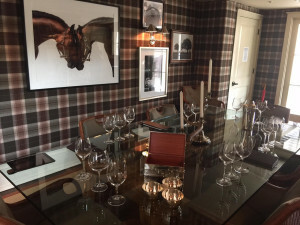 – Private reserve tasting – Escape the crowds and explore a flight of our Private Reserve and limited-release wines at the Private Reserve Bar overlooking our main tasting salon. Available daily between 10:00 am to 4:00 pm. $30 per person, $24 for Wine Club Members. No Reservations Required. 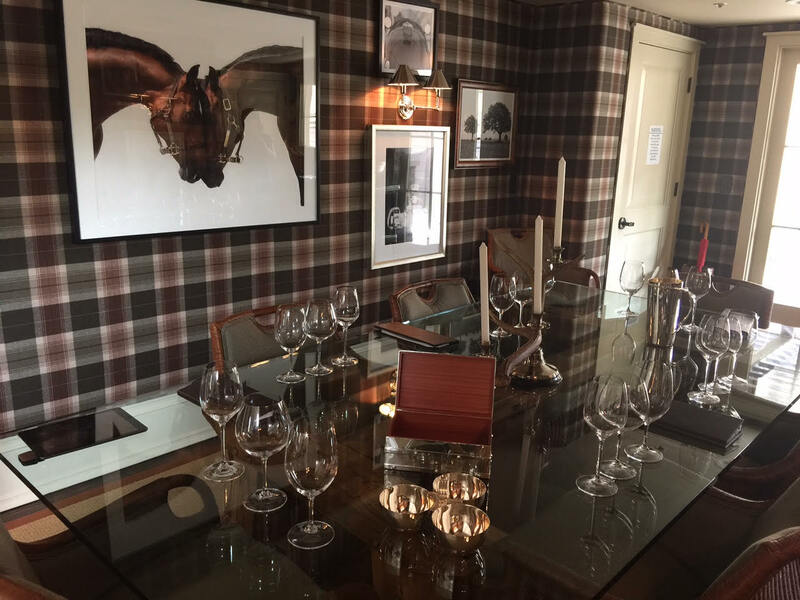 – Grand reserve tasting experience – Enjoy a seated, by-appointment-only tasting experience that features library wines carefully selected by our winemaker and poured in the quiet seclusion of The Count’s Cave. Reservations are required. Available daily at 11:00 am, 1:30 pm and 3:00 pm. 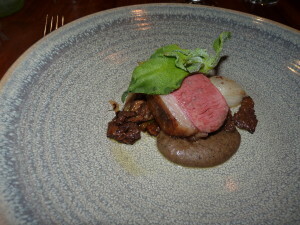 $40 per person, $32 for Wine Club Members. – Be the count blending experience – Who would like to be The Count or Countess? 90-minute, you will play with Zinfandel, Merlot and mixed reds. Find the perfect palate then bottle, cork, foil and label your bottle. You will design your own label and leave with a newly branded wine tailored to your masterful palate. The best part is you can order as many cases as you desire. Available daily at 10:30am and 1:30pm. $100 per person, $80 for Wine Club Members. Reservations are required. The Count’s Hamper, named for our original founding proprietor in 1857, Count Agoston Haraszthy. For two: rustic sandwich, salad, assorted sweet delights. The JCB French Hamper, named for our current proprietor Jean-Charles Boisset. For two: assorted Artisan cheeses, Charcuterie, rustic potato salad, baguette half, assorted sweet delights. Reservations are required and the hamper is for day-of use only. Both Hampers are $75 and include a Buena Vista wine tasting and two glasses for your picnic. This is a good choice if you just want to lay out at chill and not worry about bringing your own food. 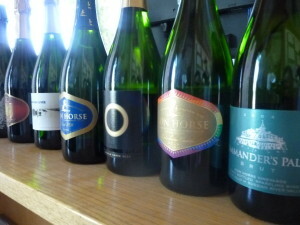 They offer variety of wines from rose to sparkling, from chardonnay to zinfandel, blend varietals and more. The wines range from $20 + to over hundred with their soon to be release red. I enjoyed their Pinot Noir Carneros but it’s sold out currently. Their zinfandel is another one that you should try if you like spicy, full bodied red. They are dogs friendly which is so awesome, so you don’t have to leave your 4-legs friend at home. Although they can’t come inside the tasting room unless they’re service dogs. 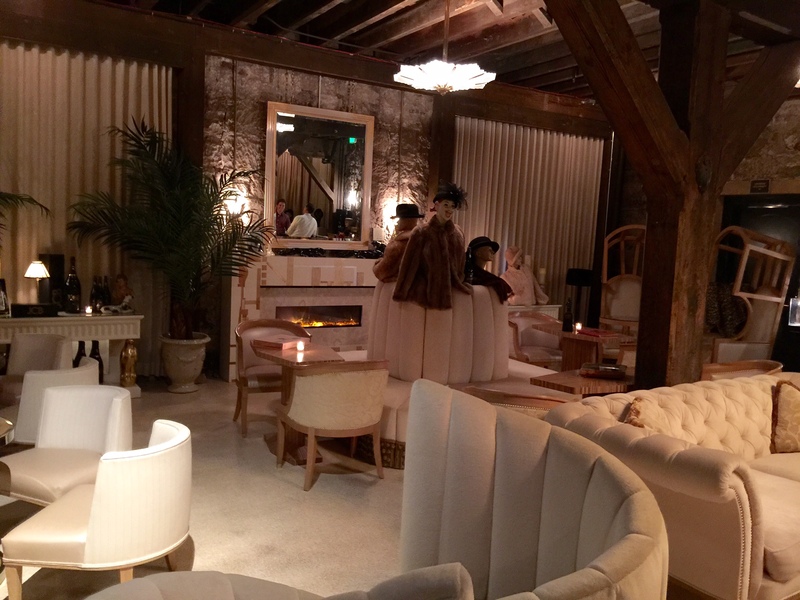 I love the Champagne tasting room a lot, off-white leather couches, chandeliers and by the cave, bring a jacket. It’s much more chill and peaceful than the main crowded tasting room. If you come on the weekend, expect slower service and not much personal, but if you can come on week day, always excellent service here.